It is our first duty to keep information about the country in which we live, though most of us are unaware that what is the official name of our country and why it has been given that name? Well, there is nothing more to think about this question because the official name of our country is India in Hindi and India in English. And this can be confirmed by you confirming that India has government offices and English India in Hindi in all government offices. And this name is also mentioned in the Constitution, that is, by whatever name you call India, but its official name is India itself. Although India is also known as Hindustan, Aryavarta, Jambudvipa But due to the traditional heritage, the name of the country was also kept in the Constitution of India. But do you know how India got the name of India or why in India is India called India? Actually, two stories are famous for giving India the name of India. Some Vedants believe that our country is called in India after the name of Bharat, son of Shantham, daughter of Chandrasheksha king Dushyant and Vishwamitra. However, according to the Rigveda, India's name was named after Suryavanshi king Bharat. According to Vedanta, who interpreted the Rig Veda, the descendants of Manu were the sons of Rishabhdev, Bharat and Bahubali. Bharata was made a Chakravarti emperor after Bahubali was reclaimed. And since then our country started to be called Bharat Varsha. And all the people of Bharata and the people living in this country are called Bharati. And perhaps this might have been the reason that the war between Pandavas and Kauravas was called Mahabharata. Because those who interpret Mahabharata say that the war of Mahabharata was for the sake of the Indians, hence it was named the Mahabharata war. Why does India say India in English, there is no logic behind it. Yes but perhaps we call India as India because this name was given to the British by India. 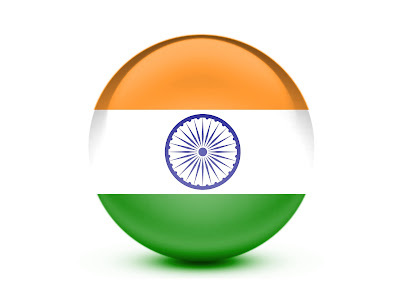 The word India is derived from the word "Sindhu" which was first introduced by the Greeks. Apart from this, India is also called Hindustan and Aryavarta. Why did not Hindustan or Aryavarta get official name status? India and India have the status of official name, meaning that you will write every country on your government paper, office or legal papers, in India and English in Hindi, written in India itself. Although India is also known as Hindustan. But perhaps this word has not been found in the constitution because the word marks the people of one religion while India is a secular country. Though we call our country India or India or Hindustan. The spirit of the country should be the same.